Being a Certified Foot Reflexologist, I know the importance of using this natural healing modality on a daily basis to help keep my body functioning as it was intended. I've used reflexology in countless ways and can honestly say the results were amazing. It is a gentle, yet highly effect technique that works to harmonize our body's natural ability to improve and maintain health. Reflexology has been known to improve circulation, assist the body to cleanse and rejuvenate, induce sleep, support healing time for injuries, reduce stress, and give an overall sense of wellness. The other day while shopping in Barnes and Noble, I spotted the Total Reflexology Kit created by renowned and respected reflexologists, Kevin and Barbara Kunz. Using innovative reflexology techniques developed over the course of more than twenty-five years of research and practice, Kevin and Barbara take you step-by-step through the various techniques and uses of reflexology, the practice of tapping into the body's natural healing power by applying pressure to areas on the feet and hands. -Gloves and socks to help you pinpoint reflexology areas on your hands and feet. 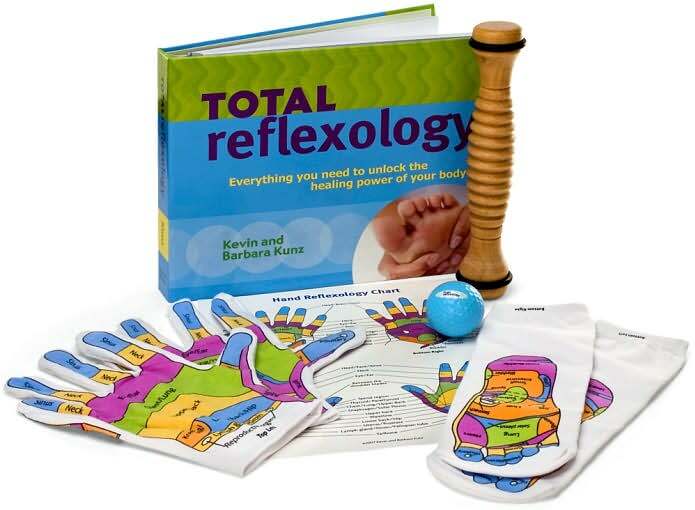 So, if you’re looking for a great way to support your body in health, please try the Total Reflexology Kit. 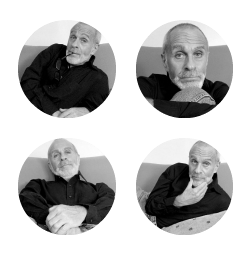 To find out more about reflexology and its many benefits, please visit Kevin and Barbara Kunz at their website Reflexology Research.